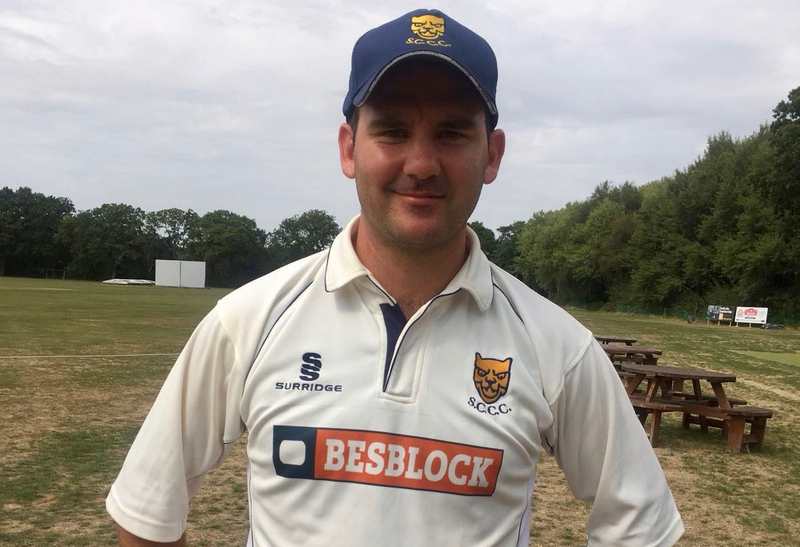 Warrick Fynn crowned a magnificent performance by taking seven wickets on the final day as Shropshire’s cricketers wrapped up victory over Dorset by 162 runs at Bournemouth. Having top scored for Shropshire with half centuries in both innings, the Oswestry allrounder followed up claiming four wickets in Dorset’s first innings by helping himself to 7-60 from 29.3 overs as the south coast side were dismissed for 167 second time out. Left-arm spinner Fynn, who was making his first county appearance since the opening Unicorns Championship match of the season against Cheshire in June, ended with impressive match figures of 11-118 from 57.3 overs. Shropshire’s third victory in four Western Division matches leaves them second in the table, 19 points behind leaders Berkshire, ahead of home games with Wales Minor Counties and Wiltshire. Bryan Jones, Shropshire’s chairman of selectors, was delighted with the result and highlighted the contribution of Fynn. Jones said: “Warrick bowled tremendously well, backed up with consistent bowling from the other end. We bowled well in partnerships, but obviously Warrick was outstanding with seven wickets, 11 wickets in the match, and 60s in both innings, so arguably it’s probably one of the best performances we’ve had. “We were delighted he came into the team and did that straight away and made a big impact. I think he’s available for the next two games as well. Dorset started the third and final day on 34-1, chasing a victory target of 330. Ben Wells and Luke Webb initially kept the scoreboard ticking over and their partnership had reached 57 when Webb, who top scored in the first innings, became Fynn’s first victim of the day, caught by Gurjit Sandhu for 30. From 64-1, it was quickly 67-4, with Fynn bowling opener Wells for 31 and then removing Edward Ellis first ball, with Will Parton holding onto a catch, as Shropshire started to turn the screw. There was to be no way back for Dorset as Fynn soon struck again, bowling Josh McCoy for nine to reduce the hosts to 85-5. Alex Eckland offered some resistance with a defiant 54 before Fynn struck for a fifth time in swift succession, Sandhu again providing the safe hands, to leave Dorset on 142-6. Wickets continued to tumble either side of lunch with paceman Alex Wyatt getting in on the act by bowling home skipper Chris Park for 10. Fynn then took centre stage again, removing Mark Wolstenholme, with the aid of an Alexei Kervezee catch, without scoring. Wyatt, who ended with figures of 3-8 from 13 lively overs, then trapped Jigar Naik lbw for 15 before Fynn, fittingly, had the final word by dismissing Jon Legg for a duck, Sam Whitney holding the catch this time, to complete a performance to remember. Shropshire had elected to bat first on day one on the south coast and put 310 on the board. The in-form Fynn (66) and skipper Steve Leach (63) shared in a third-wicket stand of 117 before Ross Aucott added 58, with Dorset’s former Leicestershire spinner Naik plugging away to take 5-116. Dorset, having ended the opening day on 65-2, were bowled out for 192 in their first innings, Webb hitting 74, as Fynn helped himself to 4-58 from 28 overs and Kervezee also played his part with 3-19 to give Shropshire an advantage of 118 runs at the halfway stage. Shropshire were then dismissed second time out for 211 inside 48 overs, with Fynn again leading the way with 61, as spinner Legg, making his Dorset debut, claimed 6-58. Jones added: “It was a good all round team performance again, pretty clinical. We had some good partnerships in the first innings, which set us up for the total we got. After three away matches in a row in the Unicorns Championship, Shropshire’s two final Western Division matches are both at home, starting with Wales Minor Counties at Oswestry on August 19.